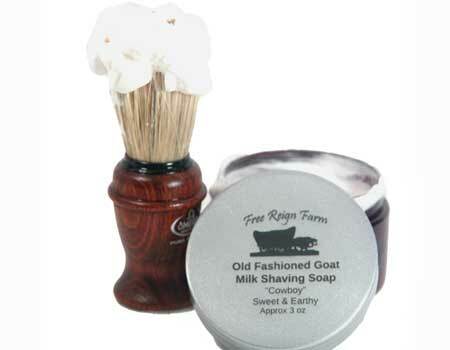 Looking for wedding party favors, guest soaps, samples for your friends, travel soaps, or stocking stuffers? 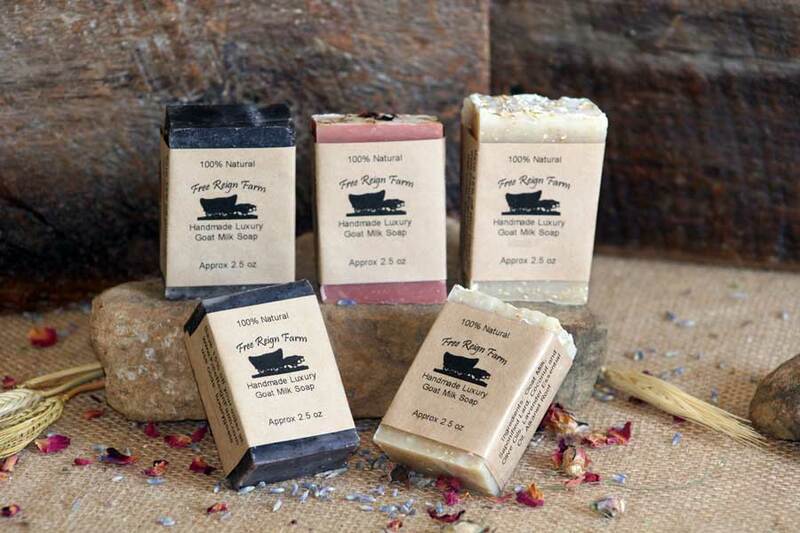 This variety pack includes 5 sample soaps of your choice. These are half bars that will weigh approximately 2-2.5 oz. We are so pleased with these soaps! 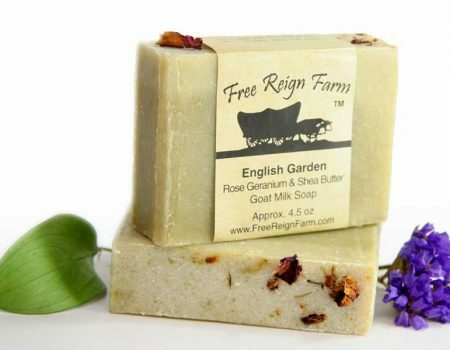 They smell absolutely wonderful and our whole family loves them, especially our 4-year-old daughter! 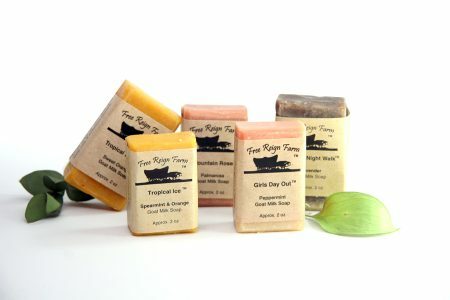 Her and I have sensitive skin, but these soaps are very calming to our skin and moisturizing too. They also seem to last much longer than the previous drugstore brand we were using. It feels great knowing these are all-natural and homemade. The hardest part is deciding which fragrance is our favorite! They’re all great. Thank you for your wonderful products! We cannot wait to order again!! 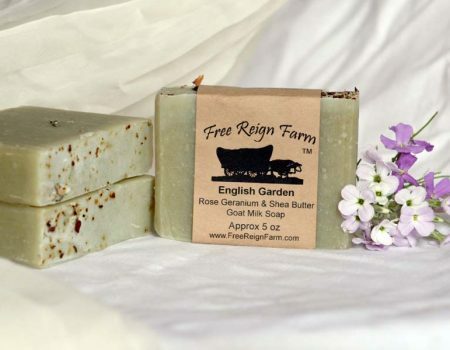 My husband and I love the sample soaps! 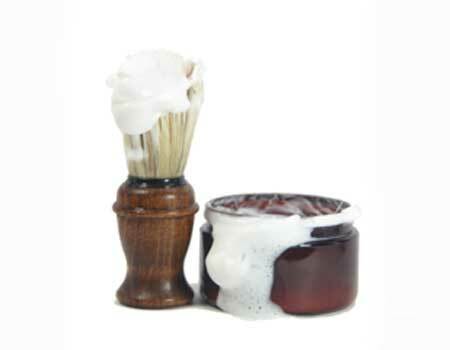 We get a variety of fragrances and have enjoyed all that we have tried. Mountain Goat is definitely our favorite! Thanks for all the terrific, handmade products! My order of Sample Soaps arrived promptly, and I was immediately delighted by these bars! They are actually a bit larger than I expected (a plus), and are nicely packaged. The scented bars have the perfect amount of essential oil, not at all overwhelming. I like these bars so much that I plan to order more to give as gifts. Top quality products! 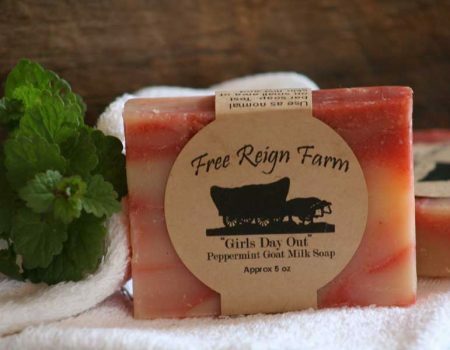 I love Free Reign Farm goat milk soap. My hands used to be really dry from over-using hand sanitizer. 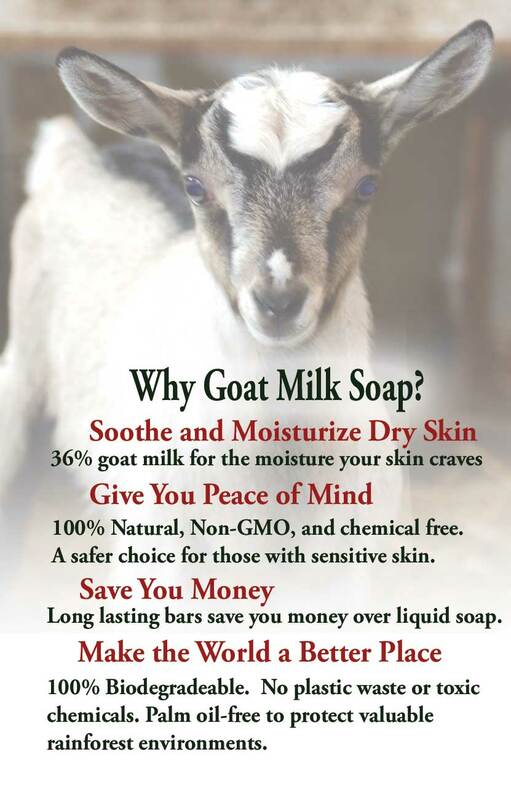 But the goat milk soap restored my skin and my hands are now soft and smooth. No more dry, cracked, irritated skin. I love this soap. I bought a set of sample soaps to see if I wanted to carry this brand in my shop. They smelled horrible, like an old fashioned harsh soap. I intended to give the samples away in gift bags. I could not. When contacted by a representative of the company, I was told oh well you can’t please everyone. I will never do business with this company. Poor customer service, poor quality. We bought some sample soaps while on vacation because we couldn’t get over how amazing they smelled. Then we used them and really fell in love. They are very high quality and they do not skimp on the essential oils! You have an amazing product…don’t change a thing! I love this soap. 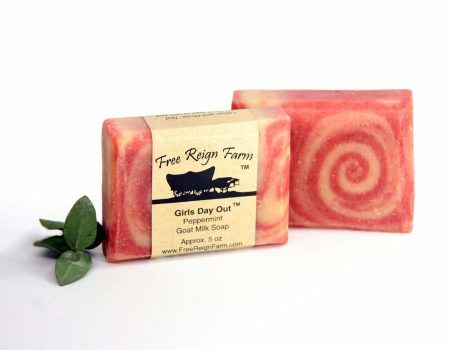 It leaves your skin soap without the dried out feeling from other soaps. It is great for dry scalps. It leaves your skin soft and refreshed. I would recommend it. I have given some as gifts and everyone loves it. Great for the holidays and the cold that tends to dry out your skin.